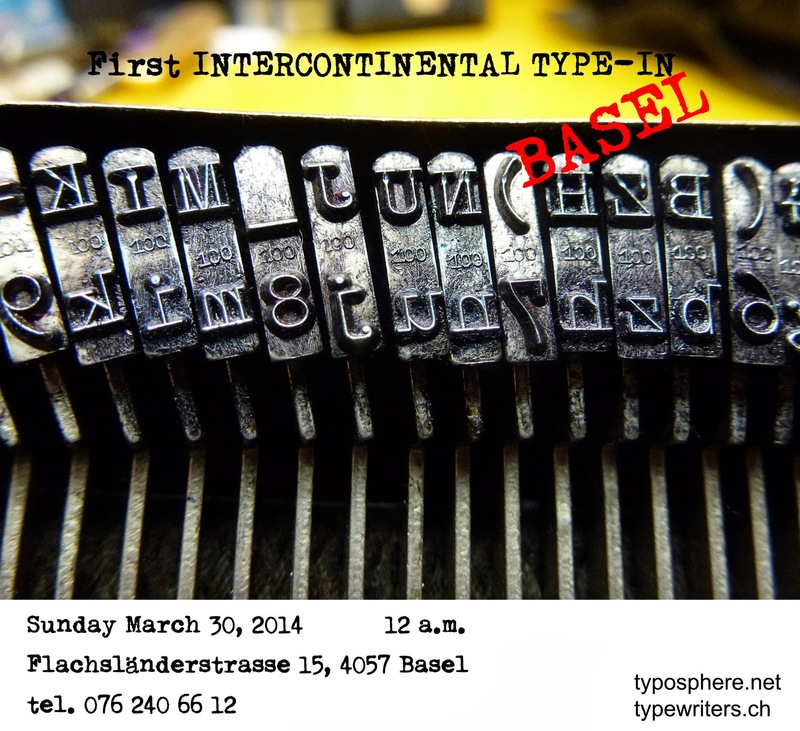 It's spring again, Basel is calling upon the typosphere! See (some of) you, and stay tuned for our report. 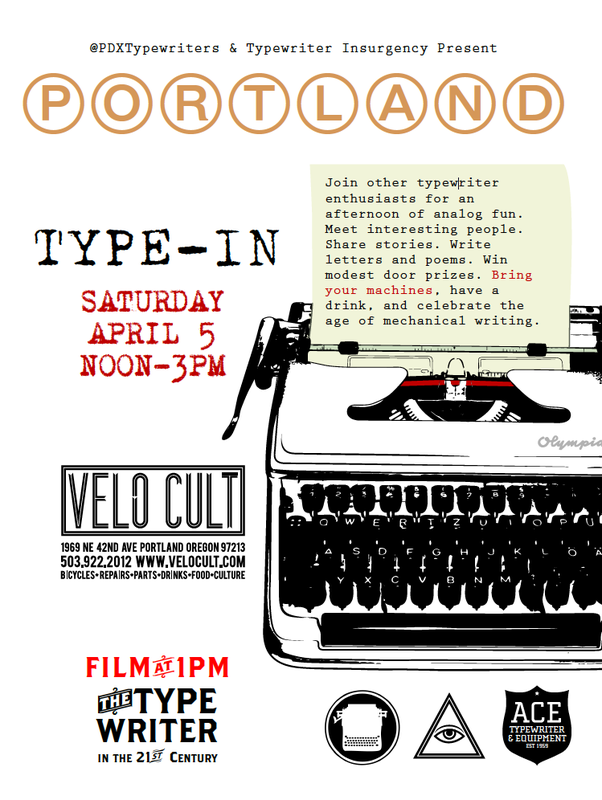 Join other typewriter enthusiasts for an afternoon of analog fun. Meet interesting people. Share stories. 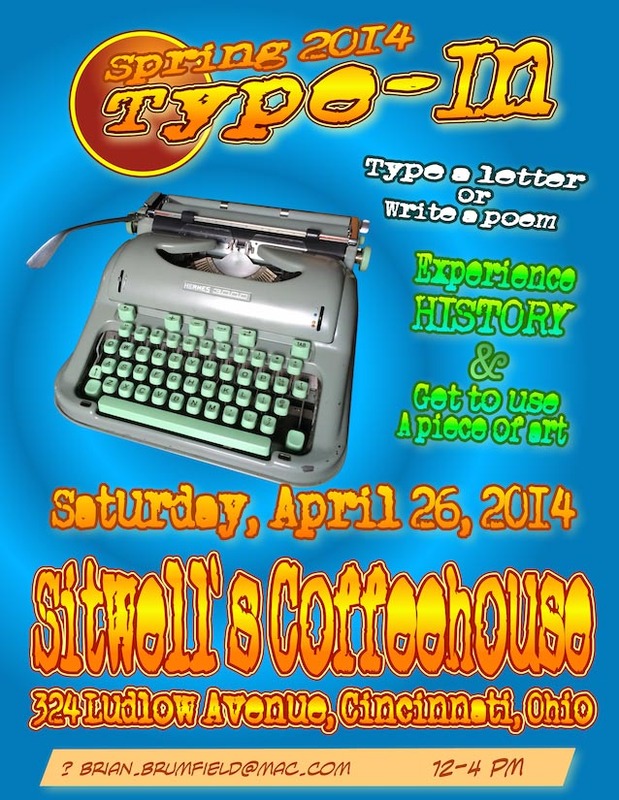 Write letters and poems. Win modest door prizes. 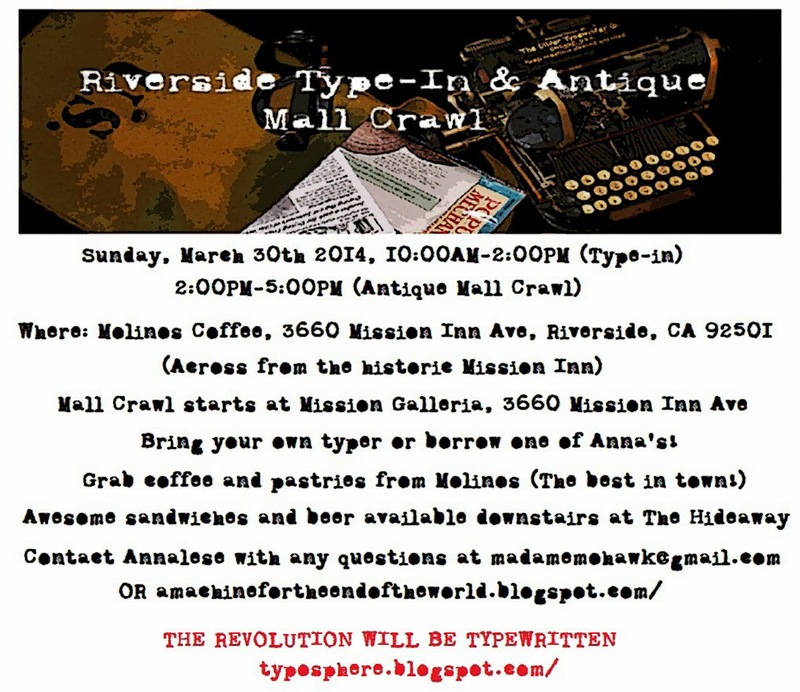 Bring your machines, have a drink, and celebrate the age of mechanical writing. Please reach out if you have any questions. An "RSVP" would be awesome, to give us an idea of who might show up. At the very least it looks like the coordinators (Bryan Sherwood and myself) and Richard Polt has marked his calendar as well. Join us for some savory nectar of the bean, and some awesome machines! It’s time for us to pitch in for another worthy cause. 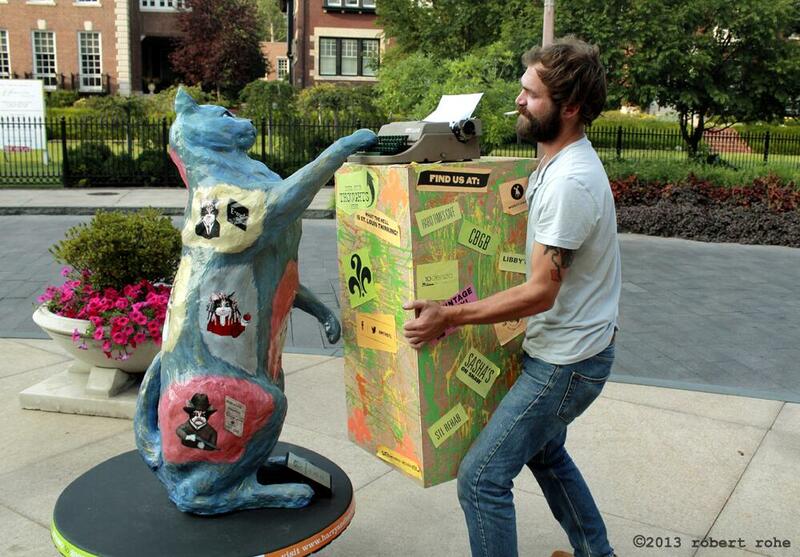 St. Louis poet Henry Goldkamp set up 40 typewriters around the city last year to collect the outpourings of its citizens. The project got national attention and now Henry’s ready to collect the results in a book. Let’s help him out, and let’s hope that this is just the beginning of a trend for cities around the world. “I love this town and don’t deserve anything that it does for me.” Though I will never know the person who submitted this powerful sentence, I do know what they mean. And I’m here to ask for one more undeserved thing. After much sweat and ink has dripped from our hands, the time has finally come to reveal the results of What the Hell is Saint Louis Thinking—but we need your help. Through the generous hearts of friends, family, and strangers, WTH was able to do something here in St. Louis that had never been done before. This project, along with so many other awesome happenings in the city, was one of many drawing even more national attention to the place we all love and admire. One submission states: “Could it be that there is a revolution going on in this fine city? The beginning of something bigger than anything that has ever happened to the people?” We believe there is. Let’s continue this revolution. Let’s put St. Louis on their bookshelves. The submissions from the project are loud as hell. They are shrill, strange cries of virtue and pain. They are blunt advisors on how to live your life. They are baptized in beer. They are one thousand steeples peering down at you making you consider death on a beautiful spring day. They are inspiring & they are heartbreaking. With all this said, the only way you will get to see this is if you donate. So let the generosity flow from the tips of your fingers. Share. Talk about it in bars. Tell your mother. Let’s finish this. Finally publish "What the Hell is Saint Louis Thinking?" You can also find us on facebook and @WTHSTL on twitter.